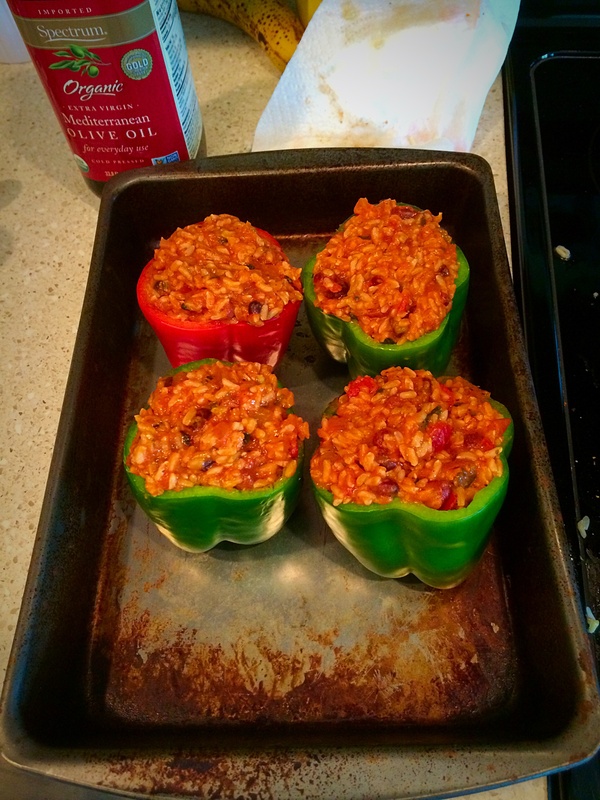 Stuffed peppers seems to be a recipe that tends to get passed down from generation to generation. 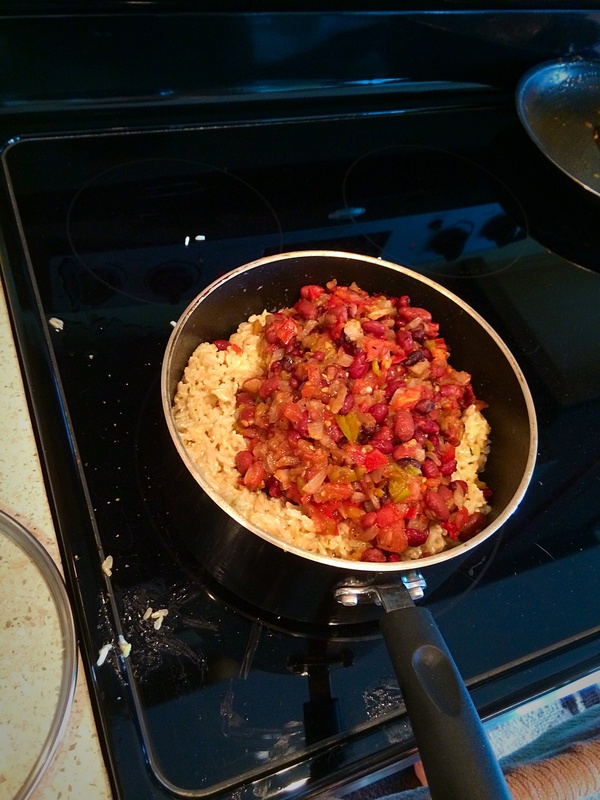 If you’re an odd ball like me, no one in your family ever made the dish and you need a simple starter recipe. 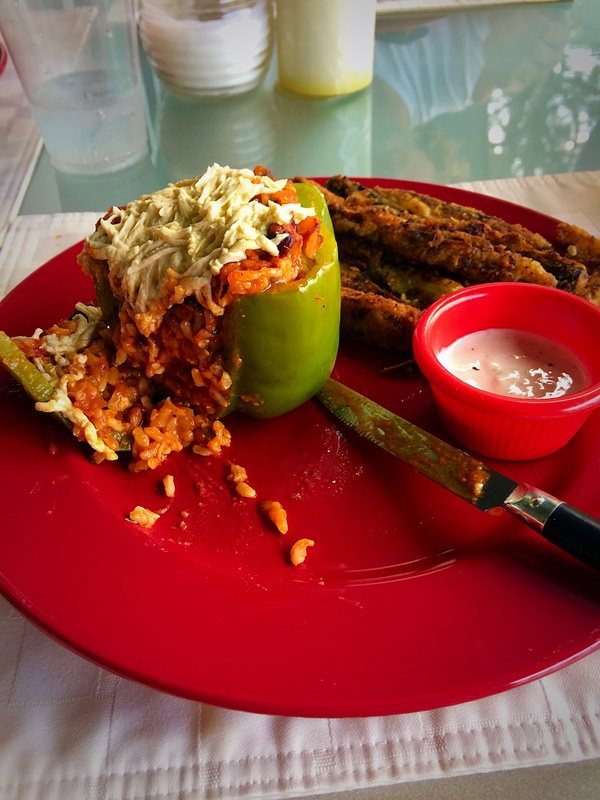 Here’s a mouth-watering stuffed pepper recipe that contains absolutely zero animal products and will leave you full and satisfied! 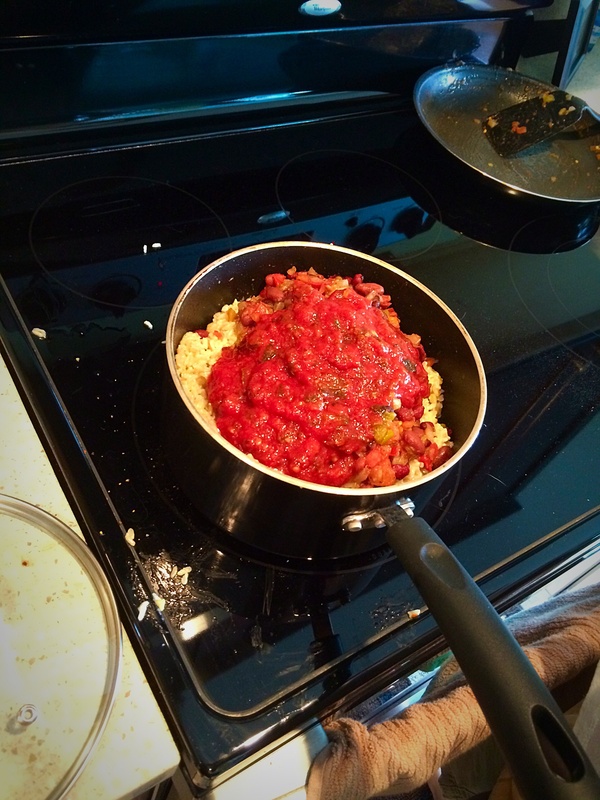 It takes a little bit longer than most of the recipes I share with you, but trust me when I say it is worth it!! 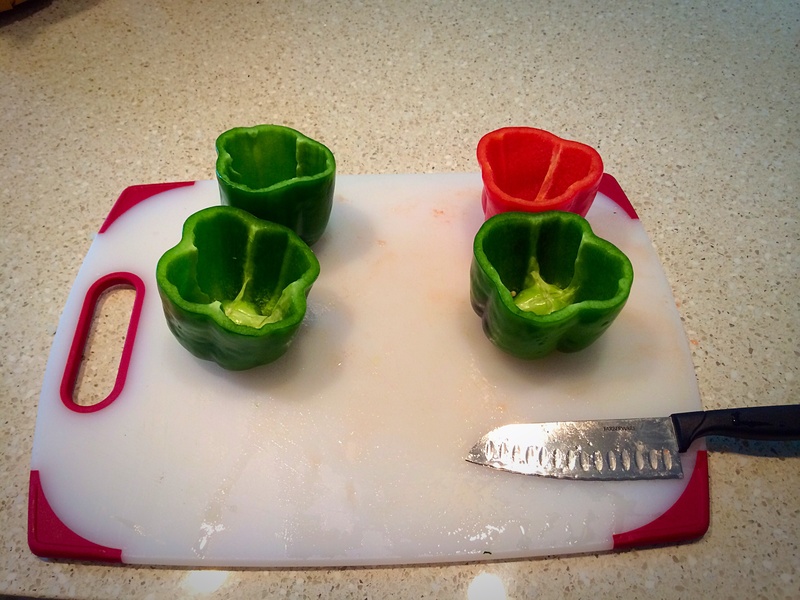 Clean and slice the peppers. Cook rice per package directions. Chop and sauté vegetables. 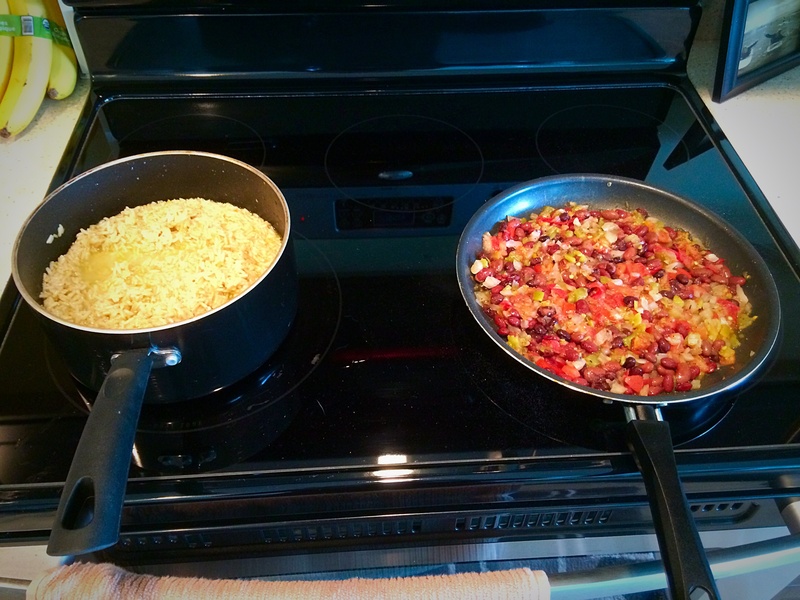 Once the rice is done, transfer the vegetable mixture to cooked rice. 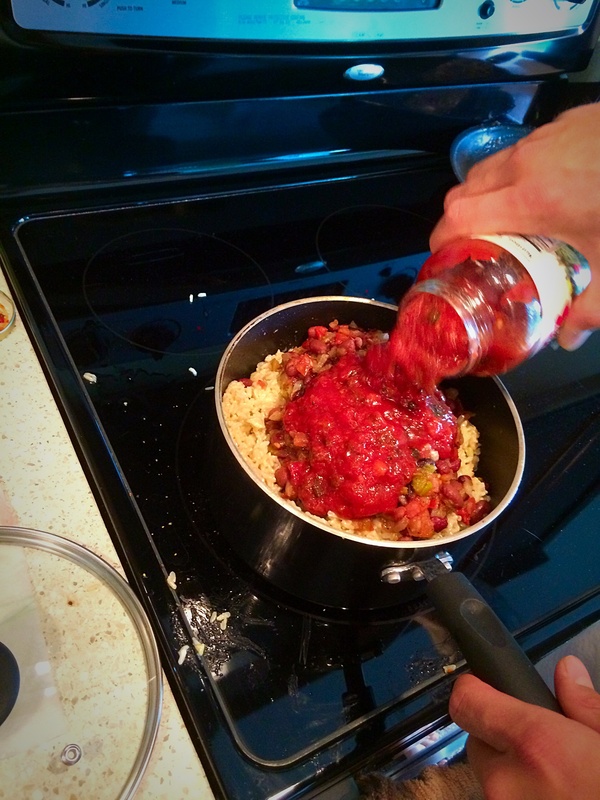 Pour pasta sauce over rice/vegetable mixture and stir. 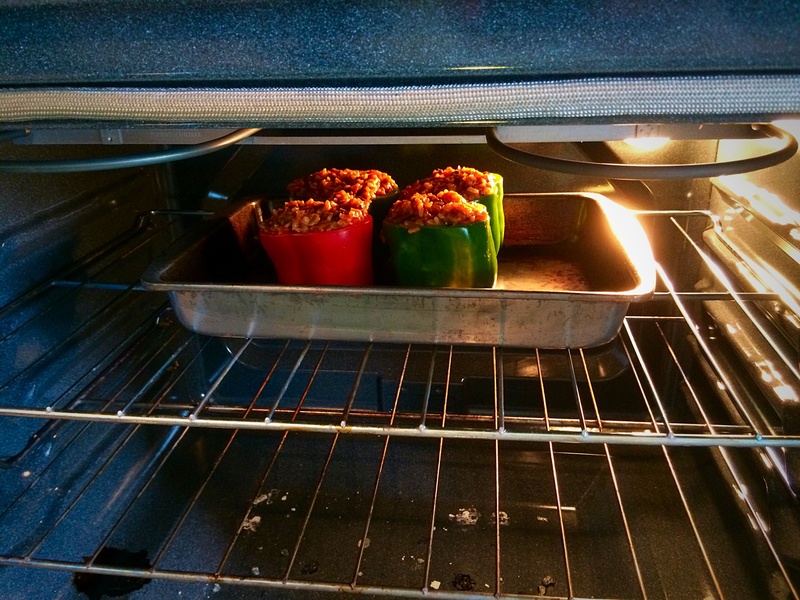 Stuff peppers and bake for 30 minutes at 350. 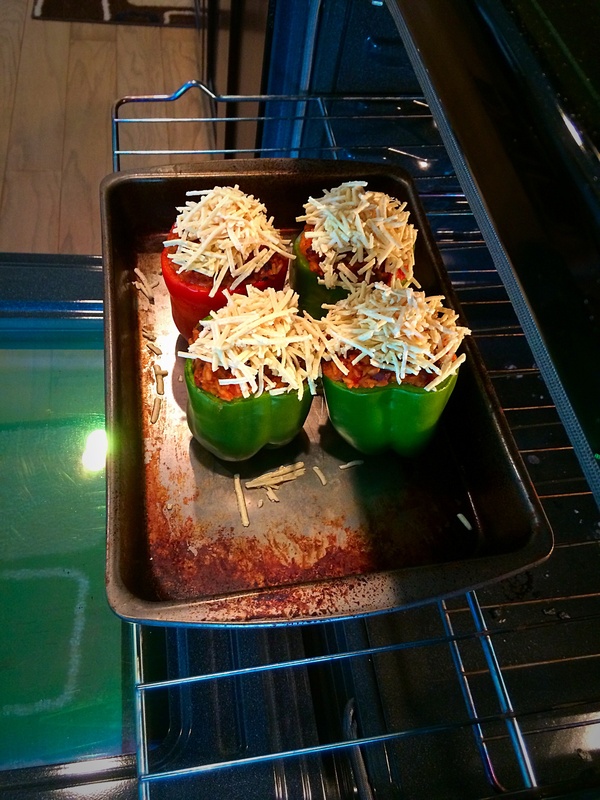 Halfway through bake time, pull the peppers out out and top with daiya cheese and bake for another 20-30 minutes. 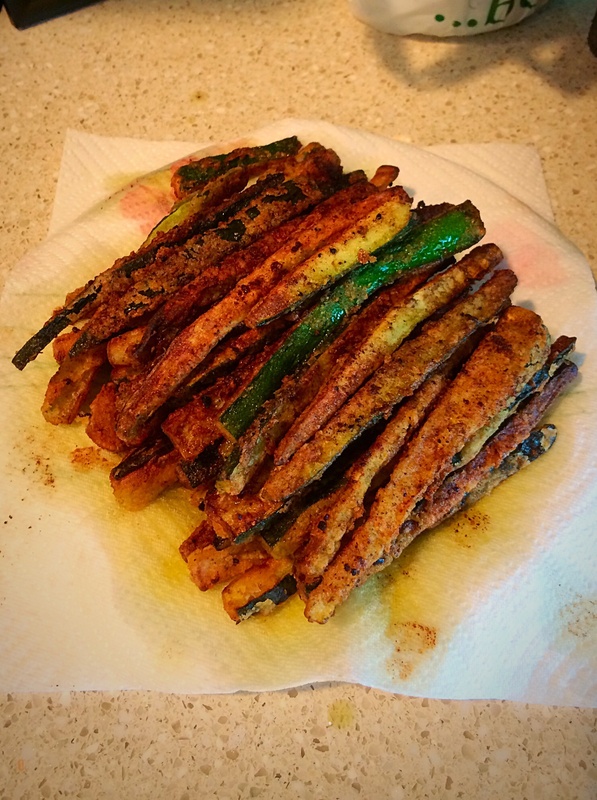 Now, you can start the zucchini fries! This is pretty self explanatory. 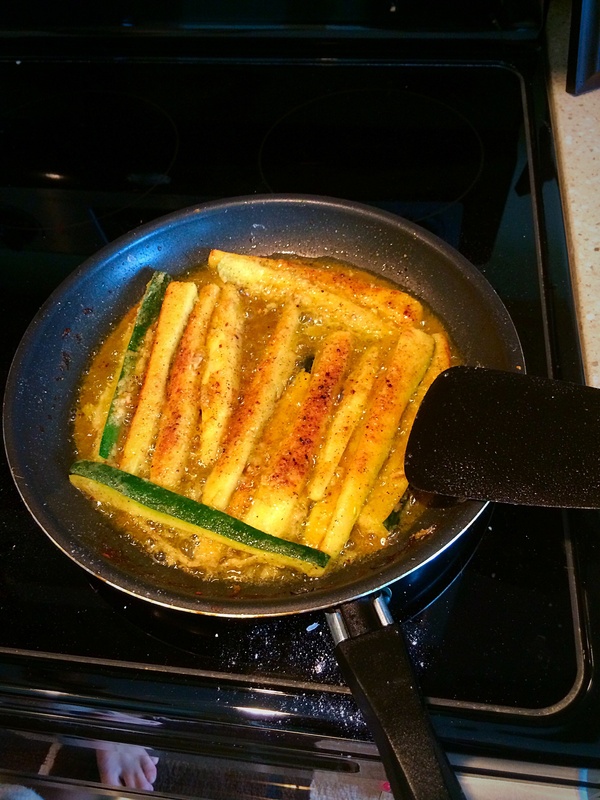 You just roll the zucchini slices in the breading mixture and then fry them in a pan to desired brownness level. 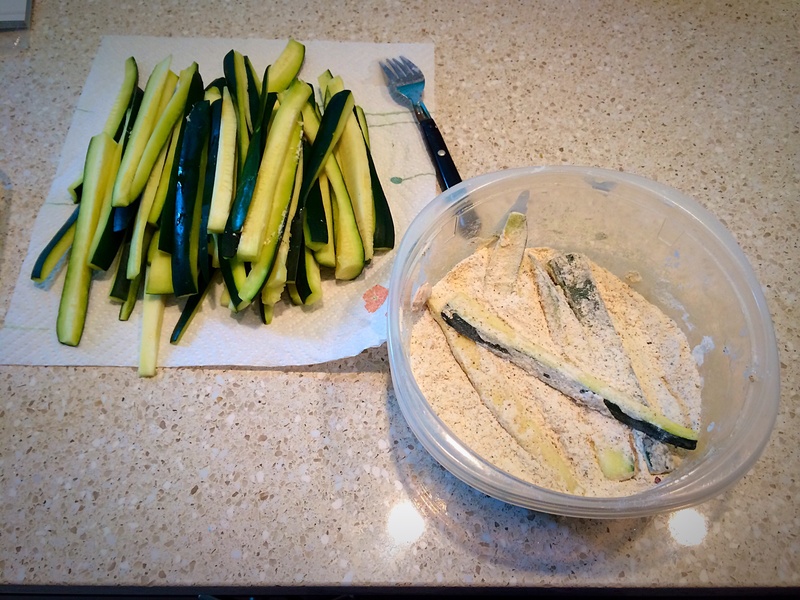 You can use an egg substitute to help the breading stick. 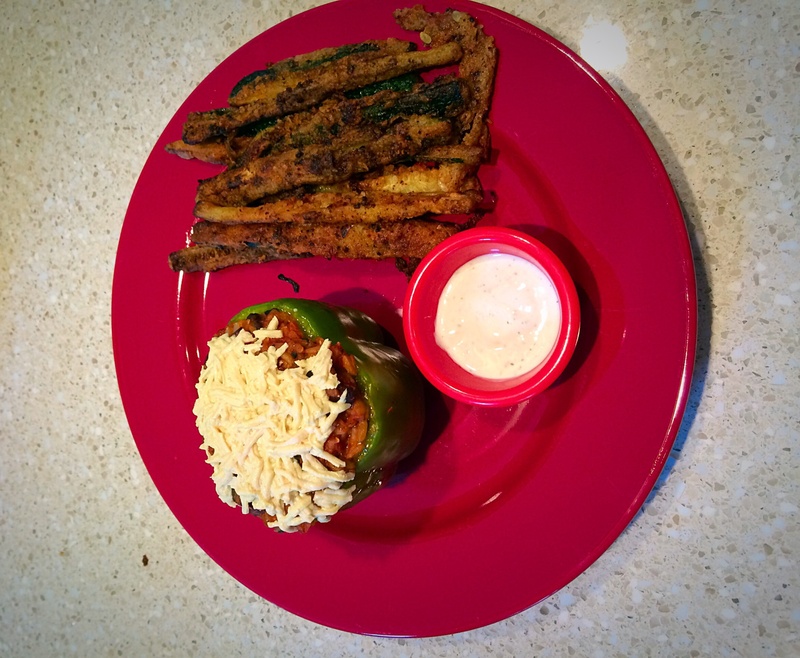 Once the peppers are finished, pull them out and serve with zucchini fries and dipping sauce if desired. And dinner is served! 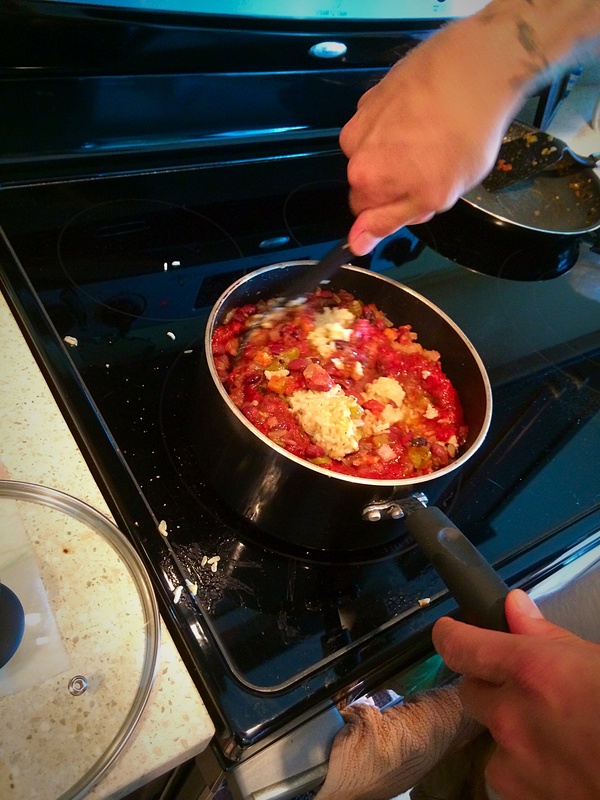 You go, you master chef, you! 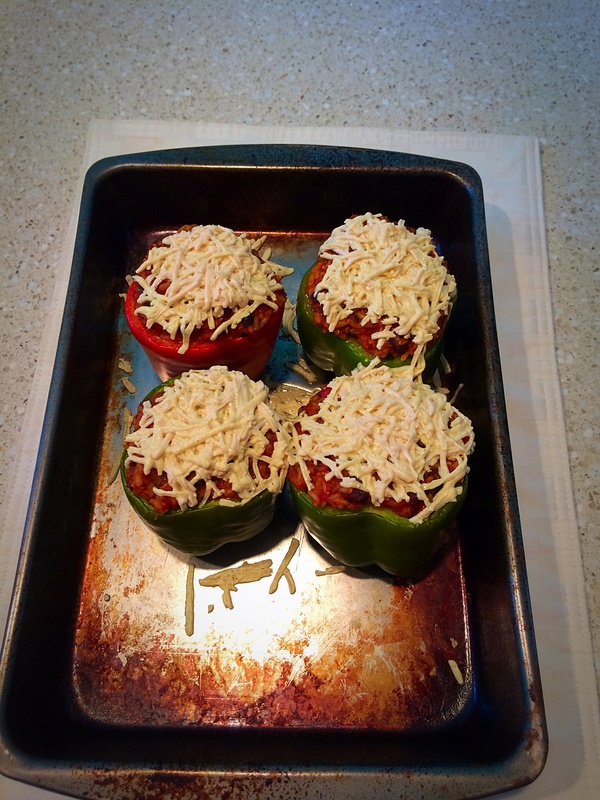 Awesome recipe thanks for sharing. 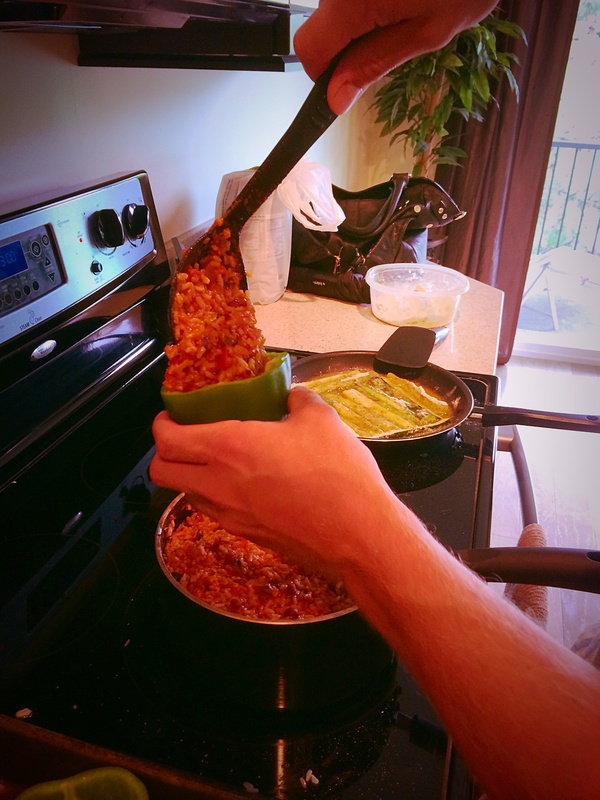 Do you really eat the bell pepper too?